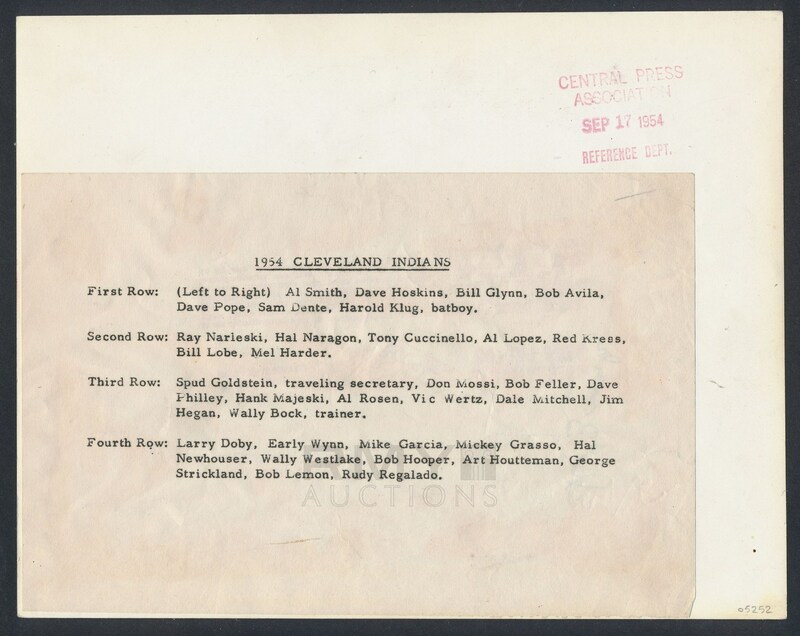 Lot # 65: 1954 Cleveland Indians Team Photo, "American League Champs Head to the World Series"
Original 1954 photograph of the American League champion Cleveland Indians taken at the ballpark as they headed into the World Series against the New York Giants. 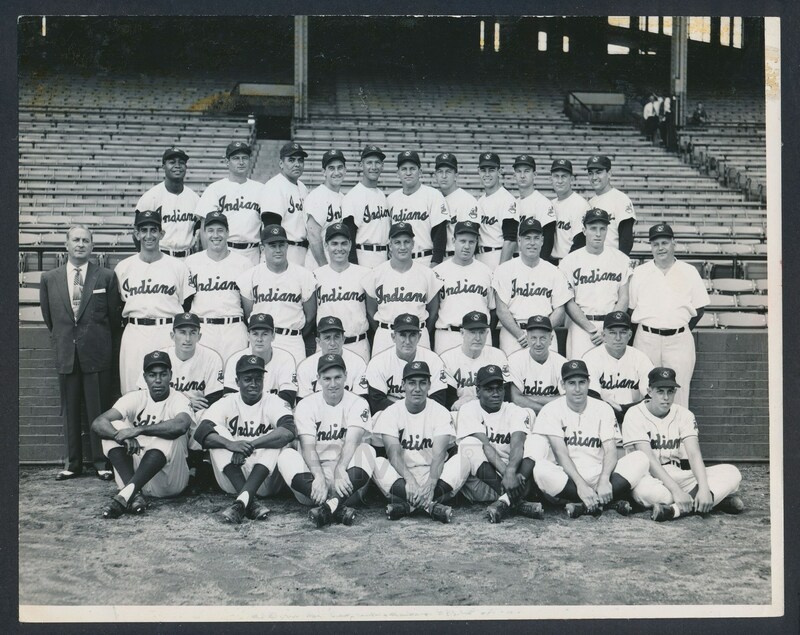 While the Indians were the favorites, they would fall to the Giants in one of the best remembered World Series of the era. A clear and bold image that presents beautifully with note to some light discoloration at the top from news-room storage. Completely original and stamped on the back with the date, there is also a large paper caption on the back as well that lists the players.